For anyone who needs a reliable removal company in Winchmore Hill look no further than Moving Service. We offer the best removal services in the area and can provide support for any move anywhere in the local region. Whether you think man and van packages, van hire, or any other solution would suit your needs, a quick chat with our experts can equip you with the most suitable moving services. Would you like to make a move from a flat or a house easy? Just ring our friendly staff members at any time. We like to be available seven days a week, so you can always turn to our team to organise your house move. For extra details and to receive a free quote, all you need to do is call our team on 020 8746 4402 now! For anyone moving to Enfield, the area around Winchmore Hill is one of the most desirable locations around. Located close to a conservation area, the district shares boundaries with Green Lanes, Firs Lane, Fords Grove and Barrowell Green. Like much of the city north of the River Thames, it benefits from excellent travel connections and the traditional rail network connects it to Hertford, while the nearby tube stations allow for travel to Finsbury Park, Highbury, and Old Street. The nearest, however, is in Southgate and sits on the Piccadilly line. The area has become famous for its village green, which is surrounded by many local businesses such as bars and restaurants. With all the experience we have, we really do offer the best options with our award winning portfolio of services. It doesn’t matter when you need us; from the long-planned moves to the short-term emergencies we’ve always got an option available. No other company in N21 region can match our collection of moving vans for reliable efficiency, so you know you can trust us to provide the best solutions. From big to small, quick to longer jobs, our team are well prepared to make the move easier for you. 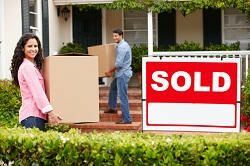 There are even packing services available to simplify relocation even further. If you need a removal company you can trust, who are ready to deliver the best removals services around, call 020 8746 4402 and reserve your appointment now. How Does Our Training Make A Difference during House Moving to Winchmore Hill? As our staff have been trained to deal with any situation, you’ll never need to worry about your move to N21 areas. We know removals inside out, so we can bring many years of practice in the field to every property. With this history, we are dedicated to excellence and ensure you are happy at every step along the way. This means you can guarantee a great experience without the need to worry about when and where you can fit everything in. If your schedule is packed, then turn to our efficient, speedy team today. Got awkward furniture? Lots of boxes? A deadline in the near future? Just ring up our offices and chat with the team to put together the perfect package for your move. How Much Money Can You Save with Our Moving Support in N21? While you might worry about the cost of moving home, there’s no reason to. If you’re in Winchmore Hill or anywhere in N21 region, then our team can offer you cost-effective, perfectly priced professional solutions. We want to make it simple to see how cheap we are when compared to other moving services in the area, so you can call us up and receive a free, no obligation quote at any time. There’s really no reason not to call. Since we can guarantee the best prices as well as the best removal services, you will definitely book the best option for your big move. In situations such as these, it’s always a good idea to have the best support available. Call 020 8746 4402 today for a hassle free house move.